You feel frustrated and overwhelmed. When you started your business, you thought the customers would flock in as soon as you opened your doors. But this is far from your reality. Instead, you find yourself spending hours on different social media platforms trying to catch the attention of your target audience with little or no success. It doesn’t help that you keep getting conflicting advice. One expert swears by pinterest, the other one agrees, but insists that you need tailwind or boardbooster to schedule your pins. Another expert swears by manual pinning. Repeat for Instagram, Facebook and Twitter. Does this sound like you? What’s a girl to do? Well, here is the good news. You’re not alone. The bad news is, far too many entrepreneurs are spinning their wheels when it comes to marketing their business. The truth is, you need to create an effective marketing strategy for your business if you want to see any meaningful result. If you keep winging it, you may end up wasting a lot of money, and will eventually burn out from doing too much, and having nothing to show for it. 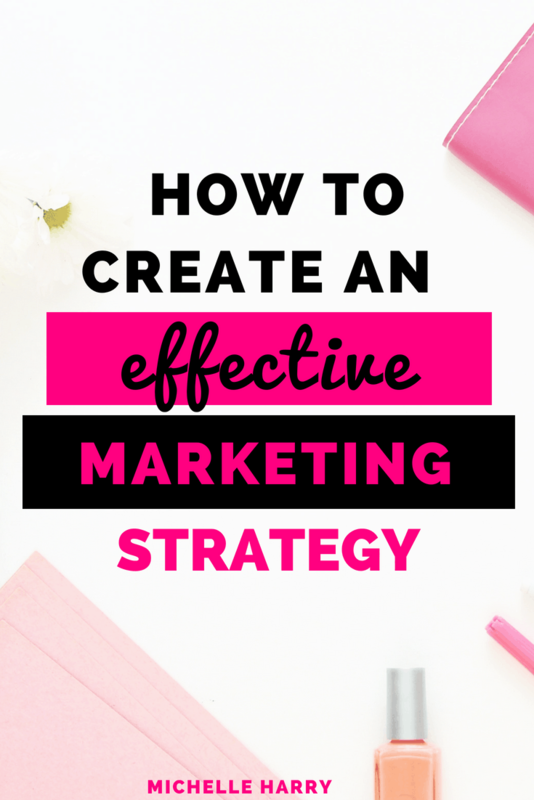 Now that I have convinced you that you need to create an effective marketing strategy for your business, let’s look at how you can create a marketing plan that works for you. Please note, this post has affiliate links. Before you can create an effective marketing strategy, you need to identify your goals.What do you want to achieve with your marketing strategy. If you don’t know what you want to accomplish, then it’s going to be difficult to know when you have achieved it! Your marketing goal/goals doesn’t have to be complicated, it’s just a simple statement of the results you want to achieve with your marketing. Brand Awareness: If you’re a new business owner, your first goal is to find ways to let your potential customers know that you exist, and to position yourself (your products or services) as the solution to their problem. In a sea of other businesses, many entrepreneurs struggle to stand out. It can be very difficult to get in front of your target audience without a marketing plan. Increase Social Media Followers: This is a common goal for many businesses. Connecting with your potential customers through social media may be an important goal for your business. You just need to be strategic and focus on the right channels. Increase Email Subscribers: If you have an online business, or you’ve been in business for two minutes, you must have heard that the money is in the list. Your email subscribers are people who have said we like you, and we want to keep hearing from you. Your email list is one of the best assets you can create for your business, and it’s something you want to focus on if you want to grow your business. Increase Website Traffic and Page Views: As a savvy business owner, you ultimately want to drive traffic to your website from different social media platforms and other sources. If you are an online business owner, your website is your headquarters, so the more people you can get to visit it, the better your chances of converting those visitors into paying customers. This is one of the reasons I am focusing on social media platforms that actually drive traffic to my website (like pinterest) and organic traffic from Google. Acquire or Increase Customers: How do you get your first few customers? How do you attract more customers or clients? Without customers, your business is just an expensive hobby. The problem is, getting customers especially as a new business owner can be hard if you don’t know what you are doing. Whether it’s getting your first customer or getting more customers, this is one of the most important goals for your business, and should be prioritized. Increase Conversion: Are you getting a lot of visitors to your website or online shop but struggling to get them to buy? Do you get a lot of likes and comments on your social media posts yet no one is buying your products, or booking your services? If you’re struggling to convert your traffic or followers into paying customers, then you need to assess what you’re doing and focus on increasing your conversion rate. These are just some examples of some marketing goals you can set for your business. Don’t forget to set goals that are specific, measurable, and realistic. If this is your first time creating a marketing strategy, keep it simple. Focus on one goal at a time. Don’t try to do too many things at a time because you will get overwhelmed and discouraged if you don’t get quick results. The next step after you’ve decided on your marketing goals is to identify your target audience. You can’t create an effective marketing strategy unless you first identify the people that are most likely to respond to your marketing message. Not everyone needs your products or services, your job is to find the people who do. Create a profile or avatar of your ideal customer. Include as many details as you can about them. The goal is to narrowly define your target audience, so you are crystal clear about the people you want to reach. Create Your Marketing Message: Marketing is all about telling people why they should buy from you. But it doesn’t stop there. You have to convince them. Which means you have to give them a compelling reason to choose you instead of your competitors. You need to create an irresistible marketing message as part of your marketing strategy. The key is to focus on your strengths and the things you do better than the competition. Once you have identified your marketing goals, defined your target audience and created your marketing message, the next step is to choose your marketing strategy or strategies. Your marketing strategy is basically the tactics and action steps you need to take to achieve your goals. Your marketing strategy also depends on your target audience. It’s important to choose the marketing strategies they are most likely to respond to. Let’s look at the four main types of marketing strategies you can use in your business. This can be one of the most effective marketing strategy you can create for your business. Your content marketing strategy is an important part of your overall marketing strategy. Content marketing is simply providing useful and relevant information to your potential customers to help them solve a specific problem they have. This valuable information is usually provided for free. The goal is to build trust and position yourself as an expert in your market. When you create blog posts and content upgrades, you are using content marketing to attract your potential customers. It’s important to know your target audience and how they like to consume information. Do they prefer videos to reading blog posts? Do they like in-depth articles? These are some questions you need to answer to help you create a content strategy. If you are a new business owner, or working with a limited marketing budget, content marketing is the best place to start. Yes, it takes time to create useful and relevant information that actually solves a problem, but it’s still cheaper than other marketing strategies like paid advertisements. Let’s look at another type of marketing strategy you can use to grow your business. Every business needs a social media strategy to be truly effective. If you are inconsistent or disappear for months or weeks at a time, then you will struggle to grow your followers/audience. I will be honest. I have been guilty of this because I was trying to do too much at a time and focusing on more than two platforms at a time. Unless you have a VA or a team to help you, it’s unrealistic to stay active on more than two or three channels at a time. Social media can be used to build or increase your customer base if you do it right. The key is to focus on the platforms that will yield the highest return on investment. Once you know your target audience, you need to figure out where they are most active. That’s were you need to focus. What if your target audience are on more than one social media platform? How do you decide which ones to focus on? You can start by spying on your competition. Where are they most active? What types of content would you need to create for each platform? How much time would you need to spend on each platform to be successful (as defined by you)? What are your social media goals? Is it to build a following? Or to drive traffic back to your website or shop? Do you want to sell on the platform? These are some of the questions you need to ask yourself to help you make a decision. The third type of marketing strategy you can create as part of your overall marketing plan is email marketing. Email marketing is one of the cheapest ways to promote your business. When done right, email marketing is probably the easiest way to keep generating sales in your business and growing your profit. A lot has been written about email marketing and there are quite a few experts to learn from. Email marketing is all about nurturing your potential (or existing customers), building relationships with them, and gaining their trust so they feel confident to buy your products or services. What are some of the main components of your email marketing plan? Write a series of emails to help your subscribers get to know you better, provide helpful tips that will help them solve their problem, and let them know about your products or services. If you’re struggling to start or grow your email list, here are some really helpful posts to help you get started. I have a whole pinterest board on how to grow your email list. Check it out here. Many businesses incorporate paid ads as part of their marketing strategy with varying results. If you are a new business owner, or you have a small marketing budget, I do not recommend you go down this route. There are different types of paid ads you can use. Some of the most popular ones include: Facebook and Instagram ads, and Pinterest promoted pins. There’s a learning curve involved if you want to create successful ads, so make sure you learn everything you need to know before you spend your money. Some business owners use paid ads to jump-start their marketing or increase sales and conversions. You must have clearly defined goals before investing in paid ads. It’s easy to waste a lot of money on paid ads if you don’t know what you are doing, but it can also be an effective marketing strategy for your business. To recap. Every business needs to create an effective marketing strategy if you want to grow your business. The first step to creating a marketing plan that works is to identify your goals. Once you know your goals, have created a compelling marketing message, and clearly defined your audience, the next step is to choose the best method (strategies) to reach your goals. Make a list of the action steps or tactics you will use to achieve your goals. Focus on the strategies that will give you the best return on investment. As a single mom of two, I don’t have time to be everywhere or to do everything. Which means I have to focus on the strategies that give me the highest return on investment. For me that’s content marketing, social media marketing (pinterest) and email marketing. Don’t forget to track everything. 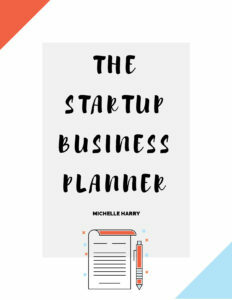 The only way you can know which strategies are working for your business, and what you should focus on, is to track everything. Do you have a marketing strategy? Are you struggling with marketing your business? 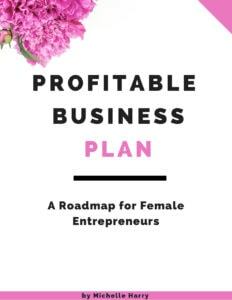 Have you used any of the strategies in this post? Leave a comment! Did you enjoy this post, don’t forget to share it on your favorite social media platform!